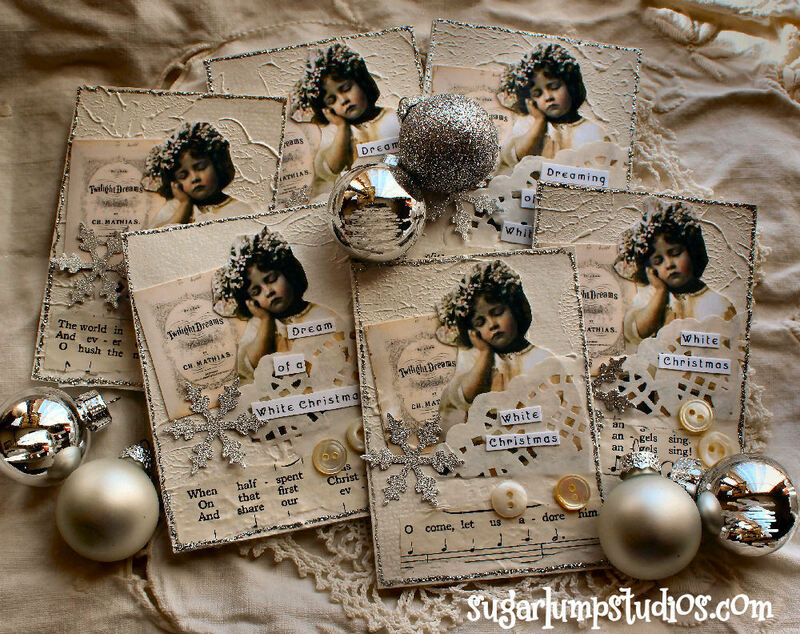 I was very thrilled to sign up for Kim’s “A Vintage White Christmas” ATC swap on her blog artJOYstuff and I am sharing my “six” that I made for it. This is my first time making ATC’s since my stroke 2 years ago, and while it took me much longer (a did a little each day for a week or so) – I was also able to prove to myself that I can do it. Just differently. I rarely do swaps anymore, so this was a real treat. 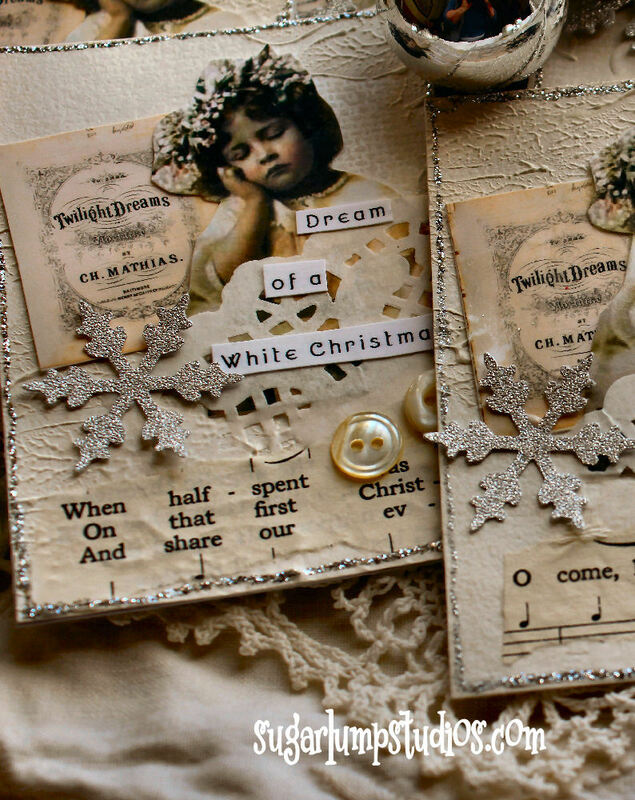 I started with a heavy cardstock base, added textured wallpaper, my images, and doilies cut into quarters. Matte gel medium, stickles (that is serious PT for my hand), buttons, and silver snowflakes. If you want to learn more about the swap…just click here to go to Kim’s site! Oh Nancy they are beautiful…love the small details. Can tell they were made with Love. Your images and Sentiments are really cute. Guess what. I forgot to add my sentiments. Too much going on. Have a fun week. I miss the paper whimsy swaps.. I will have to be more attuned to Kim! Beautiful work Nancy. These are adorable. It’s remarkable how far you have come in two years, it is a demonstration of your inner strength. I relate to the dipping in and out of projects as that is exactly how I work. It’s amazing what can be achieved when 5 mins, here and there eventually lead to a completed piece of art – the best feeling!!! I am thrilled I received one of your tags in my box for this exchange. Nancy, these are well, stunning! There, I’ve said it again! Bravo, that you were able to create such glorious atc’s- happy to hear you did bits at a time and not work yourself to tiredness. Sorry I missed this swap as I surely would have enjoyed it as well- perhaps next time!